Corona has historically been the most common ionizer used in high-tech manufacturing. Corona ionizers generate ions by applying a high voltage to one tip (± 5,000-20,000 V). The strong electric field at the tip of these emitters generates ions and discharges them from the emitter. Ions are driven by the field ~ 1 mm. However, beyond this distance, the site is too weak to effectively propel the ions, so it is necessary to have an extra push to move them to a target, such as a fan or compressed air. The corona ionizer requires regular maintenance, including cleaning and balancing, as the launch site draws dust and contaminants from the accumulated air and eventually clogs the ionization process. Most ionizers also have to adjust their positive and negative high voltage to balance the ionizer. Alpha ionization uses Pol-210, a natural radioactive isotope found in soils, plants, vegetables, and more. Particularly effective as an ion source for neutralizing static electricity, Pol-210 releases a form of energy called alpha energy. 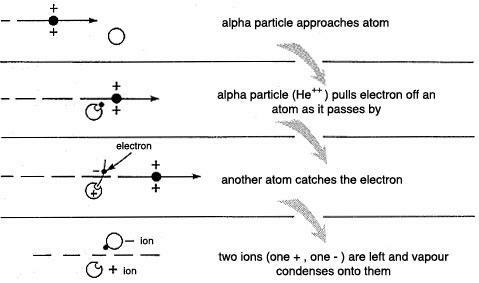 Alpha particles and the surrounding air molecules collide, resulting in a pair of positive and negative ions. And because only airflow is used to move the ions, no external energy is required. Unlike corona, alpha ionization is not limited to a single point, so it is a very effective and predictable ionization method. 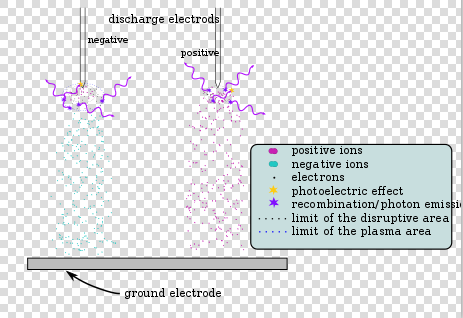 Static electricity is neutralized at the source and the ionization process is balanced. Polonium-210 does not pose a hazard to workers or materials, although the safety issue is always alpha-related. It is securely locked in the foil inside the ionizer. Moreover, it is impossible to cause external exposure to the body because [alpha] energy can not penetrate the paper. Although alpha ionizers do not require the same maintenance or balance as corona, they need to be replaced every 12-15 months and are governed by government regulations. This practice has been shown to provide better results because it enables Alpha ionizers to function at the highest levels.